To learn about creating invoices in Loc8, please read Create Invoices. The Loc8 to Xero integration creates an ecosystem of field service management and financial accounting that’s simple to use and easily accessible online. 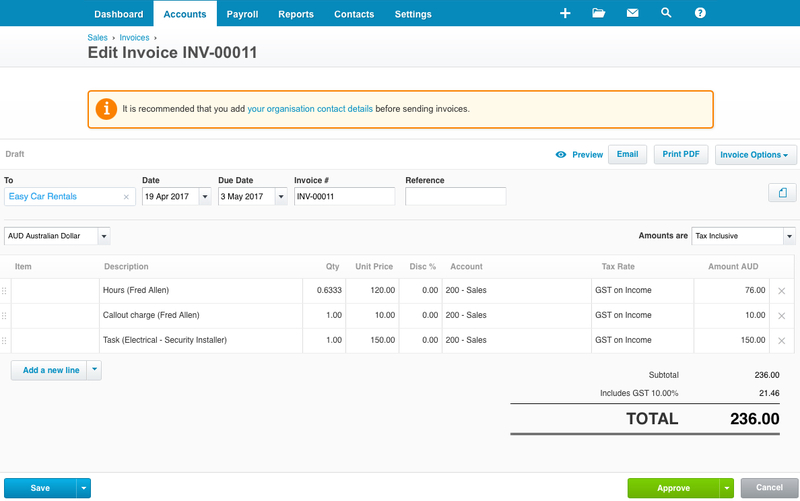 You can create invoices right from Loc8 and manage them in Xero without any need for duplicating your company’s finances. It gives you opportunities to increase your cash flow with insights into profits per work order, invoice status, payments due and payments received, all through reliable data sync between Loc8 and Xero. Your Loc8 and Xero accounts get connected and start exchanging data, the first being the chart of accounts that get pulled from Xero into Loc8, making the GL account codes available for invoicing and inventory management in Loc8. The chart of accounts helps you classify your transactions correctly, and generate meaningful reports to help you run your business better. Know more about it in Xero's Chart of Accounts. NOTE: At present, the integration does not pull the Xero customer contacts into Loc8. 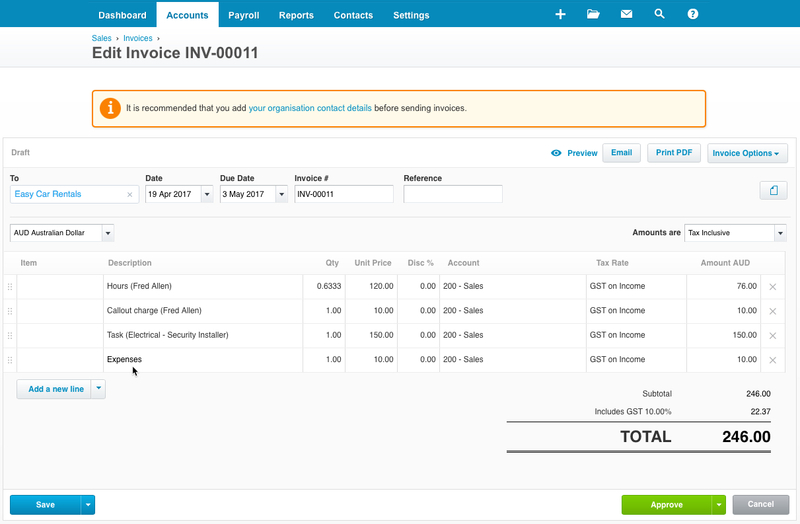 However, all Loc8 customer contacts will reflect into Xero as and when you create invoices. The invoices created in Loc8 are pushed into Xero as Draft for further processing. An example is shown below. 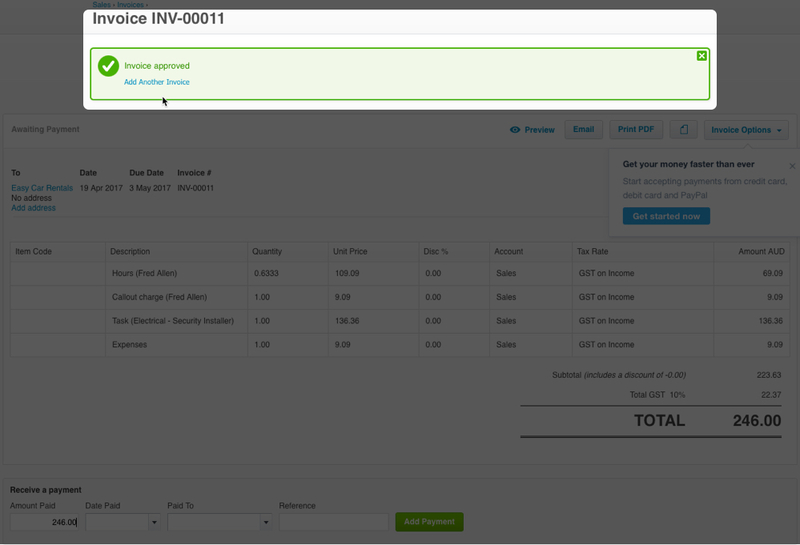 If you make any changes to those invoices in Xero, such as, add a new line item, the same changes get reflected in Loc8. An example is shown below. NOTE: The charges are shown excluding tax in Loc8 invoices. 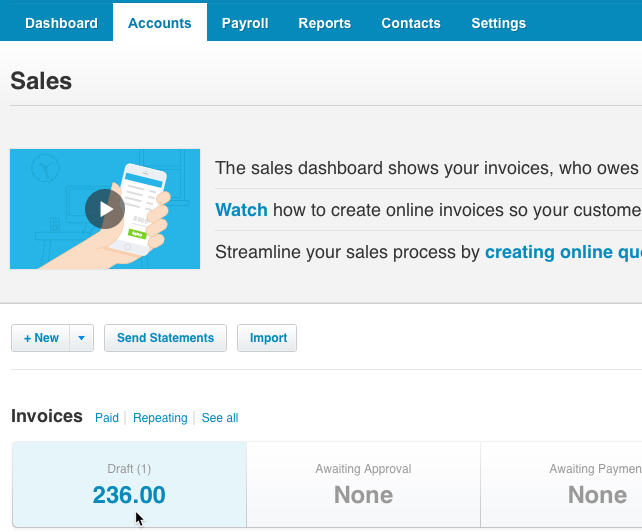 Changing the invoice status from Draft to Approved/Submit for Approval in Xero gets updated in Loc8. An example is shown below. 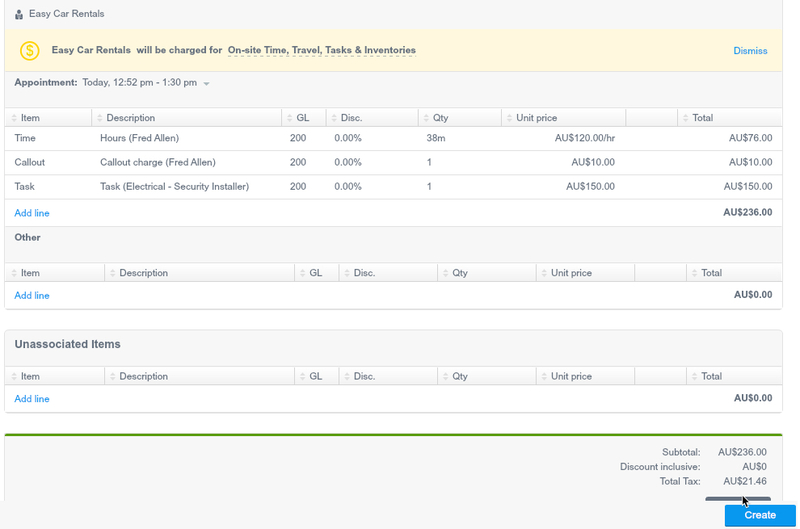 When you mark the invoice as Paid in Xero, the same status shows up in Loc8. An example is shown below. 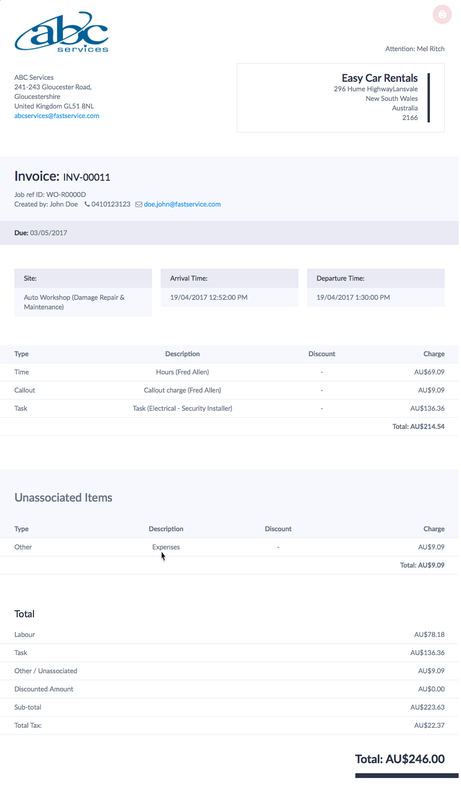 A complete list of changes made to that invoice gets recorded as invoice history in Loc8. Any new customer contacts within the invoices created in Loc8 are copied into Xero so you can send emails to those customers either from Loc8 or Xero. While creating an invoice in Loc8, you can choose from a list of GL account codes per line item. 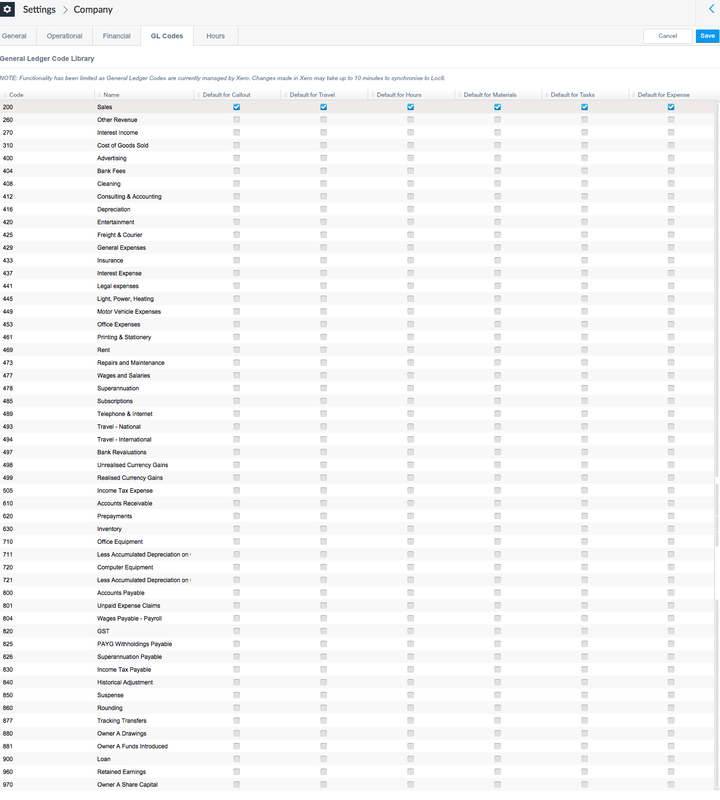 If your company tailors the GL account codes and their corresponding tax rates in Xero to best suit its needs, the updated chart of accounts are pulled into Loc8 so you always see the latest codes. An example is shown below. STEP 1 Go to Settings and click Open settings in Integrations. 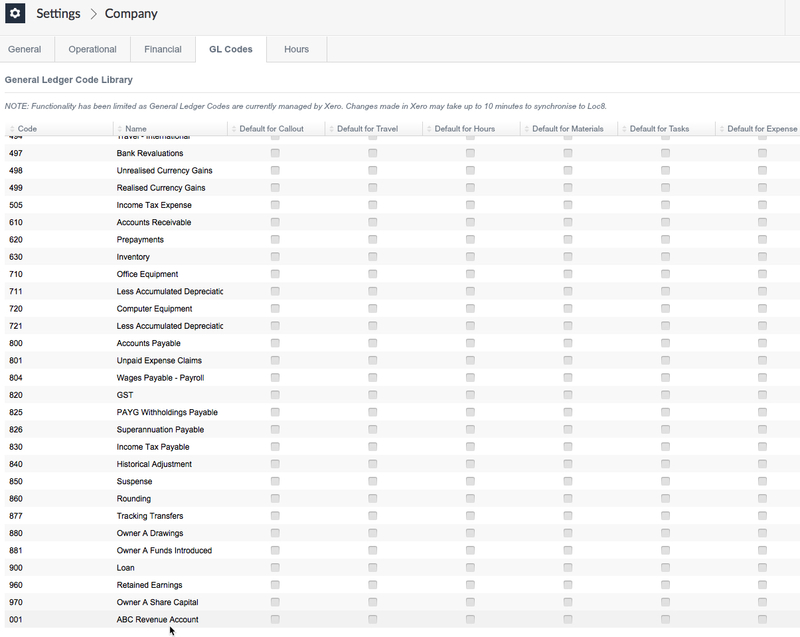 In the next page, you’ll see the option to connect to Xero. STEP 2 Under Official Integrations section, click Activate on Xero integration. You will be taken to Xero’s login page. Note: Loc8 integrates with only one accounting software at a time to ensure reliable data sync. 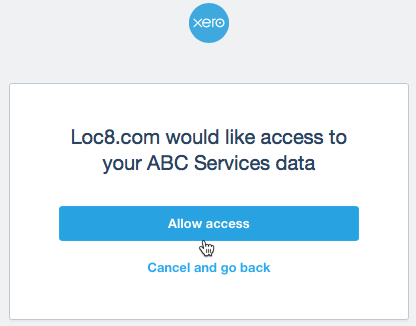 This implies if your Loc8 account is already connected to another accounting software, activating Xero integration will disable that connection. STEP 3 In Xero’s login page, enter your email and password. If you do not have a Xero account, just sign up for a new account and then click Activate as shown in the previous step. STEP 4 When you click Login, you will see a message of the format “Loc8 would like access to your Company’s data”. Click Allow access to confirm your acceptance on data exchange between Loc8 and Xero. 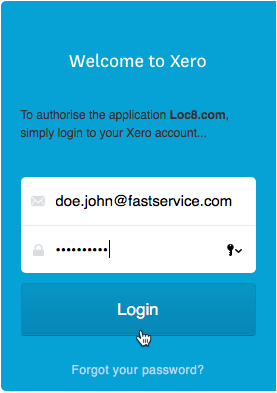 This will take you back to your Loc8 account and you’ll see a Xero Authentication Successful message. Well done! Loc8 – Xero integration is now activated. Follow the instruction displayed on the message. As suggested in the message, click the refresh button on Loc8’s Settings > Integrations page if necessary. Once the integration is active, you will see the Expires and Last Successful Poll information on the Xero integration. The timers automatically keep updating to maintain the connection as you continue working in your Loc8 account. As soon as the Loc8 to Xero integration is activated, the chart of accounts are pulled from Xero into Loc8 and presented in the GL Codes tab under Loc8’s Settings > Company. This is where your company’s preferred GL account codes can be set for Callout, Travel, Hours, Materials and Task charge types. Initially, the default GL account codes for all the charge types are set to 200 Sales. To alter the setting, just click the checkbox under the Default for [charge type] column that corresponds to the preferred Code. Do you wish to customise the GL account codes and the tax rates? 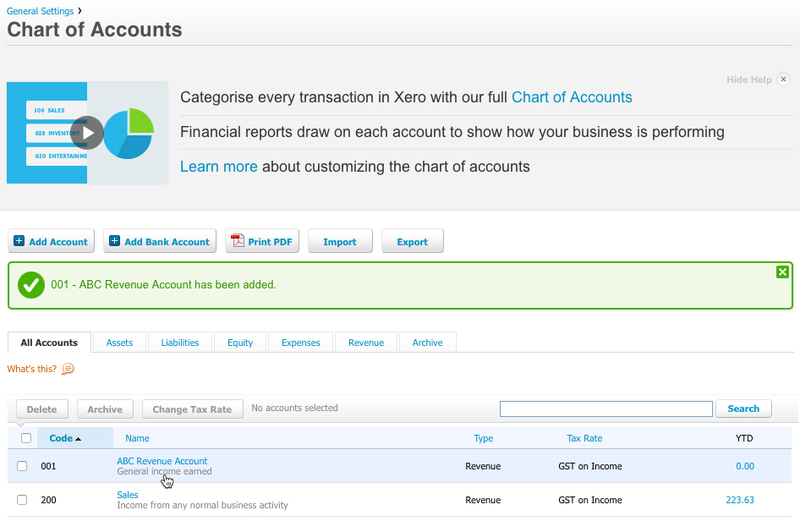 Have a look at Xero’s collection of articles on Chart of Accounts. Once you have made the changes in Xero, you will find them here in Loc8. 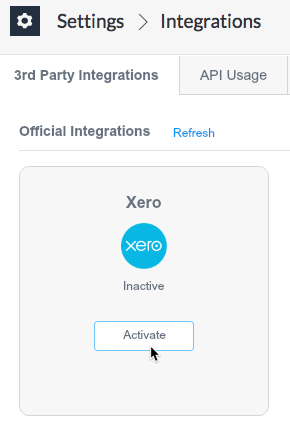 To turn off the integration, click Disable on Xero integration under Loc8’s Settings > Integrations > Official Integrations. 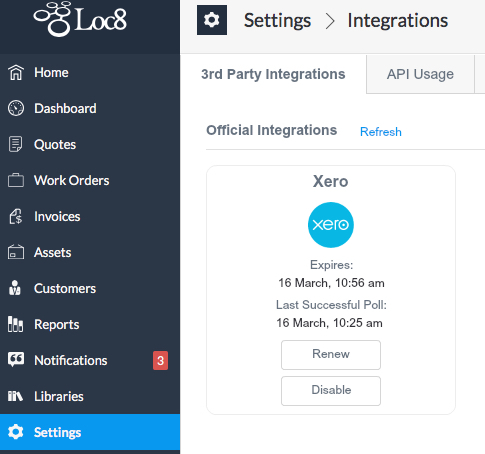 You can enable the integration any time by following the steps mentioned in Connecting Loc8 to Xero. While you are working on your Loc8 account, a periodic sync up continues between Loc8 and Xero keeping your data up-to-date in both the applications. If at all you notice that a new invoice isn’t appearing in Xero or any other kind of data mismatch between the two applications, we recommend you to check the Last Successful Poll time on Xero integration under Loc8’s Settings > Integrations > Official Integrations. It will inform you the time when Loc8 and Xero had last communicated. But if the Last Successful Poll is some time after you had made the latest changes and you still don’t see the data sync up – simply click the refresh button on your Loc8 or Xero page, whichever is applicable at the moment, and that should do the trick.